Trying to decide on the perfect model of the 2017 Land Rover Discovery Sport for you and your family? 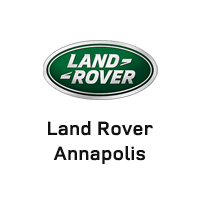 Learn about what’s on offer with each trim level of this rugged luxury vehicle with Land Rover Annapolis. The 2017 Land Rover Discovery Sport SE starts at just $37,695 for this base trim. It comes with a 2.0L 4-cylinder engine, which produces an impressive 240 hp and 250 lb-ft of torque, getting up to 28 mpg highway. The remote key fob lets you lock, unlock, and start your car from afar, while push-button start gets you going with the touch of a button. Outside, automatic headlamps and daytime running lights improve your visibility to other rivers, while the rain sensing wipers automatically adjust to the precipitation with ease. Inside, power 8-way front seats with partial leather trim caress you in luxury, while dual-zone climate control keeps all of your passengers cozy. You’ll get the Land Rover InControl system for connectivity, apps, and more. Safety features include rear parking sensors and a rearview camera to keep you alert while backing up. All-terrain progress control keeps a set speed at low speeds to help you cross slippery or low-grip terrain. For even more assistance, the InControl Remote and Protect suite helps you find your vehicle in a parking lot around Arnold, check your vehicle’s vital statistics, and more. The Enhanced Sound System uses 10 speakers for a premium concert-quality music experience right in your Land Rover Discovery Sport. Finally, the unique 18-inch alloy wheels top off your Land Rover Discovery Sport with a look of sophistication. Upgrade to the 2017 Land Rover Discovery Sport HSE, starting at just $42,195, and you’ll get even more to drive around Baltimore! The xenon headlamps with LED signature lights cast a brighter and clearer light than traditional halogen lamps with just a fraction of the energy cost, while the front and rear fog lights cut through the gloom of a dim day. Front and rear parking sensors help you get in and out of tight spaces with confidence, while the passive entry system lets you keep your key fob in your pocket or purse to enter. Load your gear easily with the powered tailgate, as you kick a foot under the rear to activate sensors mounted on the side of your Land Rover Discovery Sport. Fine-grained leather seats offer a buttery smooth seating surface for your comfort, while the fixed panoramic roof opens up the cabin to let in the natural sunlight and open sky. The 2017 Land Rover Discovery Sport HSE Luxury starts at $46,595 for all the features you love while driving around Washington, DC. Windsor leather seats and configurable mood lighting set the tone inside the cabin, with premium carpet for a soft feel. Sirius XM satellite radio offers 150 channels of entertainment, while the InControl Touch navigation system offers GPS information in real-time with turn-by-turn directions.